Serengeti sunglasses are known for their special color-enhancing properties. Serengeti sunglasses have photochromic polarizing lenses featuring a rich copper or rose color designed to maximize visual clarity for driving. By selectively blocking harmful blue wavelengths and automatically adjusting their density to current light conditions, Serengeti sunglasses adapt and optimize themselves for the best possible when driving. Serengeti copper and rose-colored lenses are special, rare and proprietary colors, tuned to filter dangerous high energy blue light from entering your eye. High energy blue light is associated with cataracts and macula degeneration. 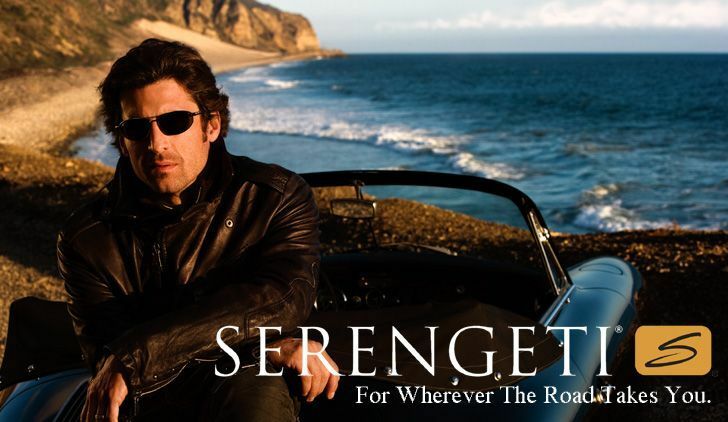 We are a premium Serengeti sunglass dealer, featuring over 120 styles in stock. We also specialize in authentic Serengeti prescription lenses, which are available in single vision, bifocal and progressive styles.